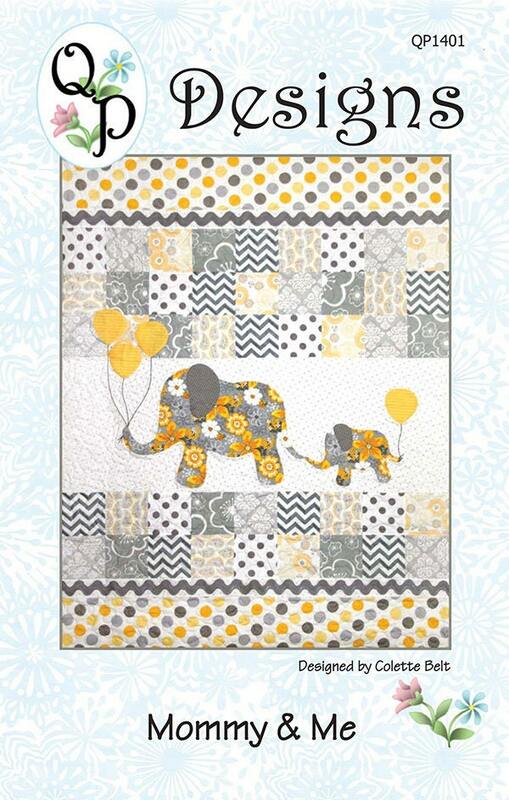 Sweet quilt pattern design that features an appliqued mama elephant & her baby carrying some festive balloons! Love this pattern. Already had it but couldn't find it so I ordered another one. I can’t say enough good things about my shopping experience at Happy Valley Merchantile. 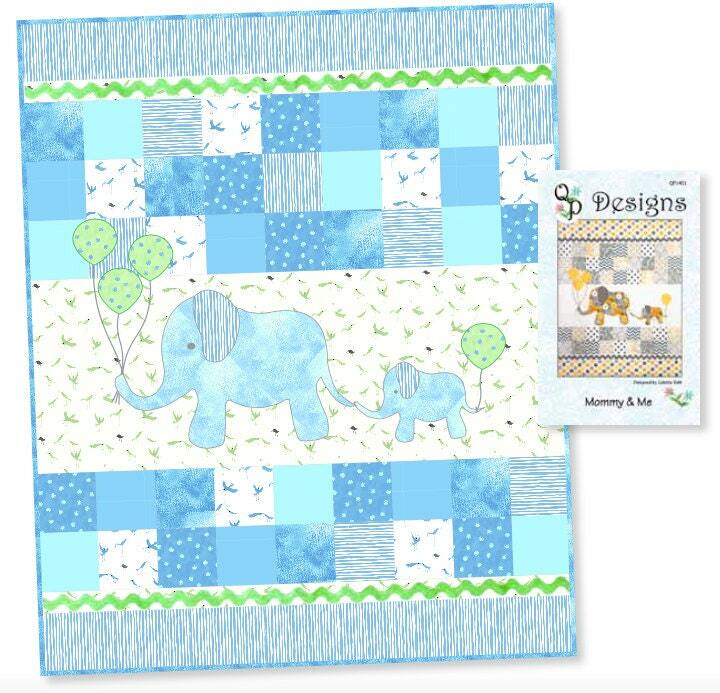 I found this Mommy & Me quilt pattern and showed my expecting daughter...we both fell in love with it and I ordered it. 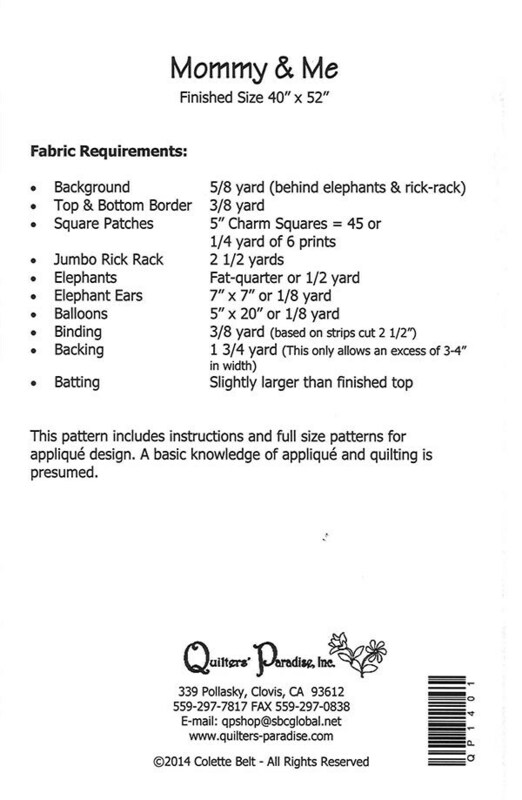 During the transaction I mentioned to Robin that I’m not that great at pulling together coordinating fabrics. She offered to pull some together and build a kit for me! 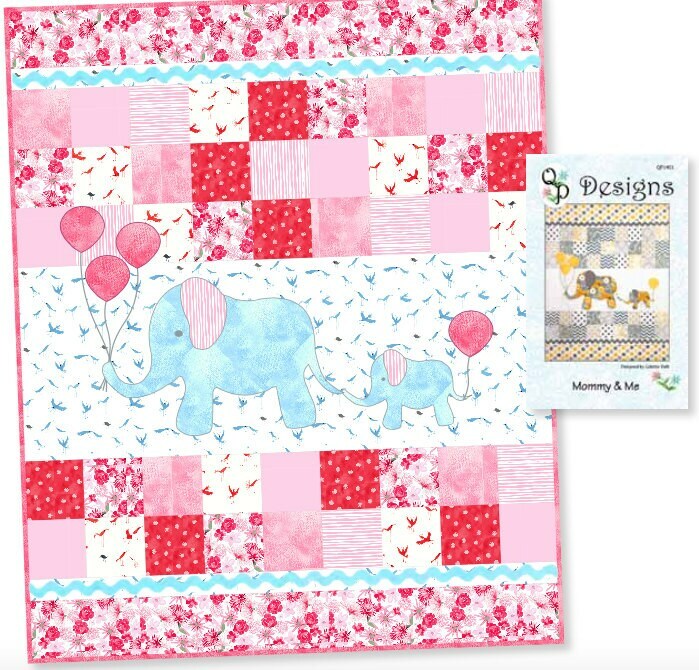 We were so exited to get the beautiful fabrics and pattern! OH! And she combined the shipments and credited back the second shipping charge without me even asking! I’m a very happy customer and will be shopping here again! Thank you, Robin!